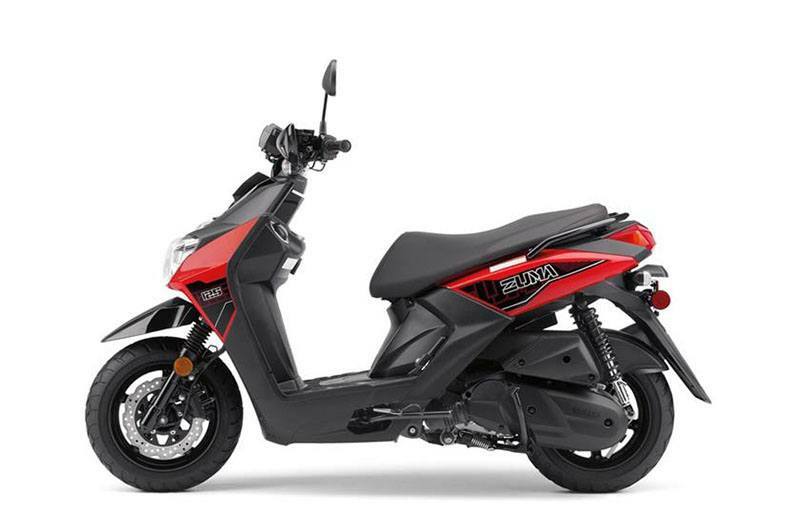 The Zuma 50FX is sporty and fun to ride and highly efficient, with plenty of storage under the seat. ROBUST FRAME: Large-gauge steel pipe frame offers strength and rigidity. MASS CENTRALIZED: Fuel tank, positioned low in the center tunnel, provides centralized mass and extra convenience – the tank can be refueled without opening the seat, unlike many scooters. ADVANCED BRAKES: Wave-shaped 180 mm front disc brake and rear drum brakes combine for serious stopping power. GRIPPY TIRES: Fat 120/90-10 tires front and rear are designed for impressive looks with a strong grip pattern. 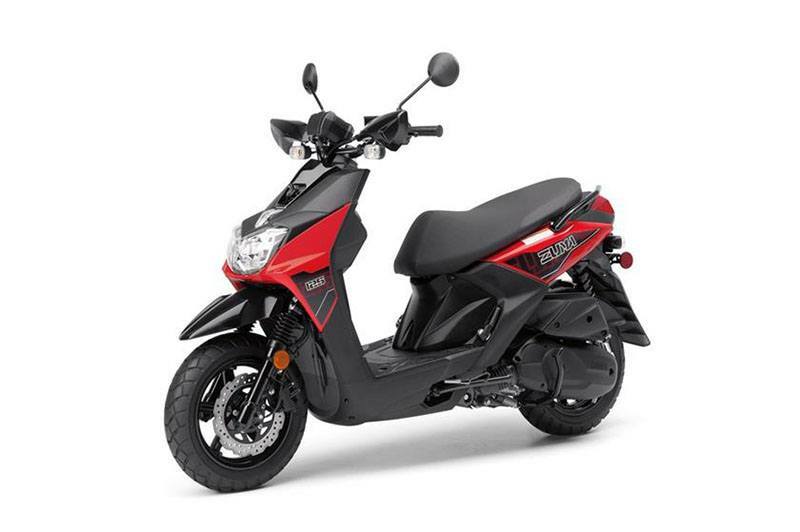 UNIQUE STYLING: Wide handlebars with motorcycle-type bar clamps emphasize the sporty styling. CARGO-READY: The sturdy rear cargo rack includes an integrated grab bar. COMPACT, SPORTY POWER: Liquid-cooled 3-valve, 4-stroke engine is powerful, quiet, and low maintenance. 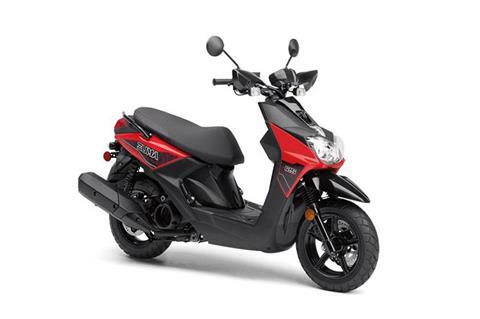 ADVANCED FUEL INJECTION: Electronic fuel injection with 19 mm throttle body provides optimal mixture in all conditions as well as easy cold starts. AWESOMELY EFFICIENT: The Zuma 50FX achieves fuel economy up to an estimated 132 mpg with a fuel tank that holds 1.2 gallons of gas. 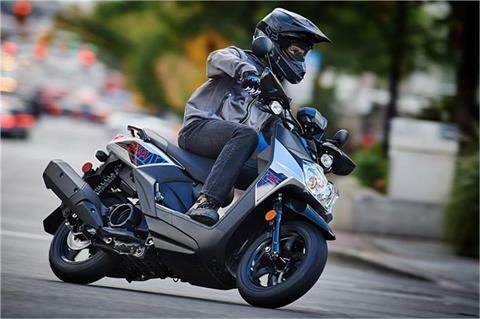 AUTOMATIC CONVENIENCE: Fully automatic V-belt transmission provides easy, twist-the-throttle-and-go operation. ELECTRIC START: Push-button electric starting gives ultimate ease of operation. 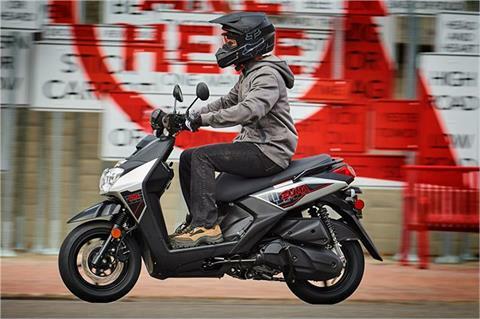 CLEAN RUNNING: The air-induction system and exhaust catalyst technology reduce air pollution. ON-BOARD Storage: The under-seat trunk is large enough to hold an XL size full-face helmet, with a 23-liter capacity. INFORMATIVE INSTRUMENTS: A fuel gauge adds to rider convenience. 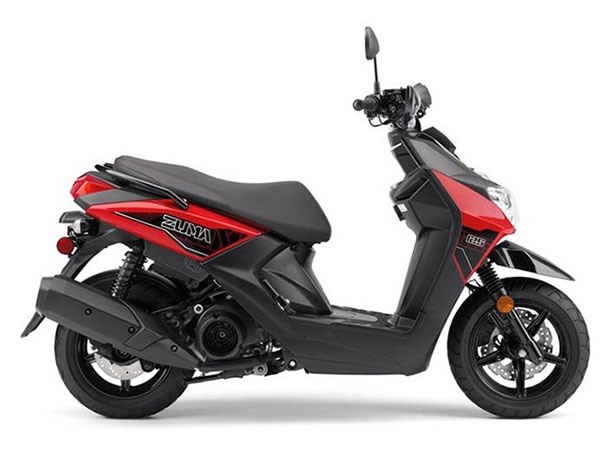 SHARP SPORTS STYLE: Single headlight design and clear turn signals accents the Zuma 50FX's sporty visual identity. READY FOR FUN: This super sporty 4-stroke scooter makes going places fun, even commuting to work or school. 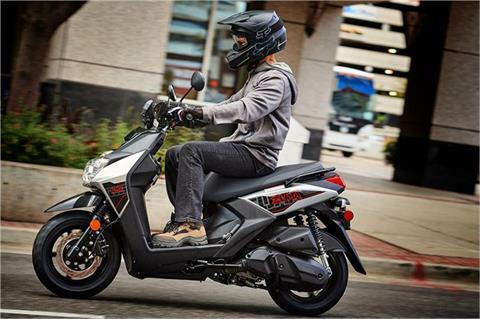 MODERN POWERPLANT: Fuel injection provides smooth, seamless power — and nearly instantaneous starts. SHARP SPORTS STYLE: Supersport-inspired colors and graphics and sharp single headlight enhance the sporty character of the Zuma 50FX. 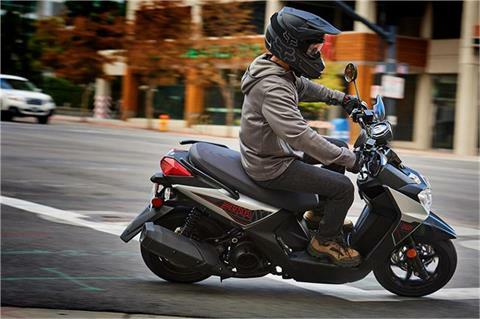 SCOOTER PRACTICALITY: Zuma 50FX's stepped seat provides an open and roomy ride, plus lots of locking storage underneath and added convenience touches like an inner pocket and fold-out hook.